Sant Engineering Company provides two types of hydraulic deep drawing presses that include single action drawing press and double action deep drawing press. Both the presses are made of quality raw material, which make them durable. Our company offers heavy duty frame type deep draw press, hydraulic deep drawing presses, which are widely used in different industries to manufacture deep drawing components. These are heavy duty, high performance, and pillar type hydraulic press for manufacturing deep drawing press components. These machines are equipped with most advanced hydraulic & electronic (PLC) control produced under severe quality controlled designed by our experienced and skilled designers to cater the customer’s specific needs. Deep draw press is perfect for deep drawing automobile sheet metal components, oil tanks, stainless steel kitchen sinks, mudguards etc. 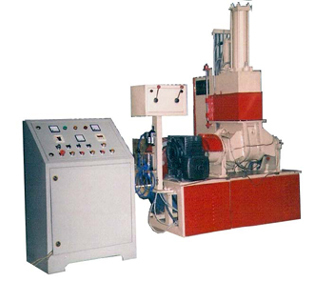 Our hydraulic presses are easily operational, safe and user friendly high efficiency and high accuracy. The company believes in developing long-term relationship with the clients, which enables it to offer them best quality at affordable prices. High Capacity presses are preferred in column type.